Increasing levels of fascism are curbing the freedom to write and speak freely, and this needs to be challenged, Kerala Chief Minister Pinarayi Vijayan said on Friday. 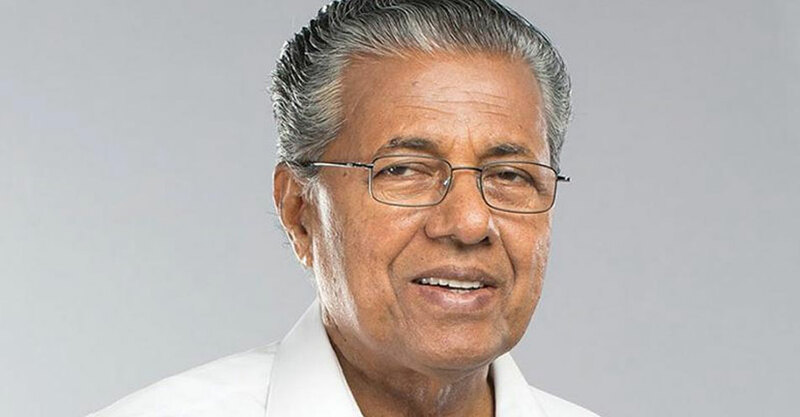 After inaugurating the three-day Mathrubhumi International Festival of Letters here, organised by the leading media house Mathrubhumi, the CM said, “Fascism is tightening in several areas like never before in our country. “The need of the hour is to see that the freedom to write and express is strengthened. What we have seen of late in our country is that independent writers and journalists are being attacked and killed. “Great icons like Dilip Kumar, Anand Patwardhan, Kamal Haasan have all had to face the wrath of certain undesirable elements,” said the leader of the Communist Party of India (Marxist). “Slowly darkness has started to fall on our cultural fabric. That has to be prevented. It’s festivals like these which should take up these issues for discussion,” he said. Vijayan appreciated Mathrubhumi, a hugely popular media house in Kerala, for its passion towards writers and promoting them right from their younger days. Chairman and Managing Director of Mathrubhumi Printing and Publishing, MP Veerendra Kumar, who is also the Chairman of the Festival, said fascism should be defeated at any cost. “It has now come to a stage where even one’s freedom to eat has come under threat. Festivals like these are not just to discuss these evils but it should be used to fight these evils,” he said. Kumar last month quit as a Rajya Sabha member after his party leader and Bihar Chief Minister Nitish Kumar decided to join hands with the BJP-led NDA. On the occasion, Thiruvananthapuram Lok Sabha member and a popular writer himself, Shashi Tharoor said a few years back he took part at the Hay Festival – a literary festival – for the first time. “After two editions, the curse of commerce caught up with the festival as it was found that Thiruvananthapuram was an expensive destination. Now that you have gone forward by holding this, I wish it becomes a regular feature. It’s festivals like this we can showcase our state and also bring people from outside for a literary interaction,” said Tharoor. More than 100 literary figures from 10 countries are taking part in the festival. Earlier, Scottish historian and writer William Dalrymple led an enlightening session. Among others taking part include Ukrainian novelists Oksana Zabuzho and Andrei Kurkov, Ayesha Harruna Attah from Ghana and Malaysian novelist, poet and educator Bernice Chauly. The three-day event is being held at five places. The various sessions include trends, ideas and genres ranging from fiction, poetry, non-fiction, politics, environment, travel and cinema. The festival will include musical and visual performances, narrations, literary exercises, plays for children, augmented reality sessions and exploration of traditional Kerala cuisine along with interactive sessions for youth.